Professionals in the field are likely to tell you that commercial real estate is better than its residential counterpart because of the additional cash flow, economies of scale, open playing field and bigger potential payoff. 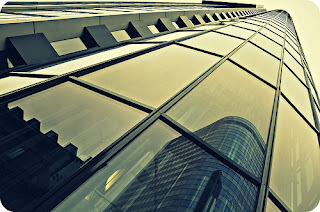 Yet choosing the best commercial real estate investment is not a task for the uninitiated as separating winners from duds is something that comes naturally to experienced real estate agents but not to beginners. Here are some quick commercial real estate tips to help you get started. You can only be a successful player in the industry if you think like a professional. Rule number one is that commercial and residential real estate are valued differently. Unlike individual homes, commercial real estate income is directly in tune with its usable square footage. Commercial property deals carry longer leases than residential homes and this equates to a higher level of cash flow. If you’re operating in a tight credit environment, cash in hand is an advantage since commercial property lenders are unlikely to approve any loan unless they see a down payment of at least 30%. Net Operating Income (NOI): This is calculated by subtracting the operating expenses of a property in year 1 from its first year’s gross operating income. Obviously, a positive NOI is essential. Cap Rate: This calculates the value of a property that is producing income. A cap rate is used to estimate your cash flow’s net present value. Real estate is driven by customers and your goal is to find sellers willing to let go of their property below market value. The harsh reality is that nothing matters in commercial real estate until you locate a deal involving a motivated seller. Sellers that are not especially motivated to let go of the property are less likely to negotiate on your terms. This means going around a neighborhood and studying the property market there in depth. You need to attend open houses, speak to owners of properties in the area and look for any vacancies. Commercial real estate opportunities don’t fall into your lap; you have to work for every deal you get! This takes practice but the most successful commercial real estate agents know that the best deal is one that is easy to walk away from. Learn how to critically analyze a property to spot damage that needs repairs and know how to assess risk. Never consider making a deal until your calculations show that the property meets your financial goals. Of course, you can follow all of the above tips and still not succeed if you haven’t mastered the art of human communication. Building relationships and establishing a rapport with property owners is one of the most important aspects of successful commercial real estate investment. About the author: Hi, I'm Mark and the author of numerous real estate-related articles, many of which offer tips, such as where to find commercial property for lease in The Woodlands, Texas from leading brokerages like Bobek Realty. These 5 steps are really informative for those who don't know about real estate investing and have curiosity to invest in this business. Keep these steps in mind investors will never get loss in their real estate investing field. That is true, if you will take steps with proper attention to the market you can earn huge profits in less time, this is why a lot of people nowadays invest in commercial real estate. Thank you for sharing these amazing commercial real estate Dallas tips before investing in this kind of thing. Well, this is a very expensive investment and the reputation and success of your business will depend on it so you need to be very meticulous.